When people find out that you are planning to read Mathematics at university, they will usually give you funny looks and say, “Wow, you must love Maths very much!” or “Are you going to be a Maths teacher?” To all my fellow potential maths applicants out there, brace yourself, as this will be something you have to deal with for a very, very long time. Hi, I’m Ong Shin Yin. I was previously from Catholic High School, PJ and TCSH. I was a KPM bursary scholar and I just received an unconditional offer from University of Cambridge. For the University of Cambridge, you can opt to be interviewed in Malaysia or the UK. The interview fee for students opting to be interviewed in Malaysia is GBP130 (as of the time of writing). Dr. Stuart Martin interviewed me. I received the details about the interview approximately two weeks before the actual date through email, which included the interviewer’s name, date, venue and time. The interview lasted about 30 minutes, though it might vary a bit between different applicants. However, a long or short interview is by no means any indicator whether you do well or not. But in case you want to know, my interview was slightly longer than usual. I arrived at the waiting room along with my friend. After a while, Dr. Martin came out and called my name. I greeted him and he led me into a room, which consisted of only a table and two chairs. He introduced himself and made himself clear: he was there to observe how I think and whether I will fit in to Cambridge’s supervision system. Then he asked me some ice-breaking question such as: Why Sidney Sussex? How do you find your current A-level college, lecturers and college mates? For the first question, it would be better to show him that you have done more research than merely looking at application statistics and the Tompkins Table. I was given 3 problems to solve during the interview and, guess what, 2 of them were actual MAT past year questions! However, during that time I had not looked at MAT questions yet; I only realized after I started preparing for MAT as part of my Imperial College London application. To be honest, the interviewer will not be impressed if you can solve the problem immediately. He/she will think that you have seen the problem before and give you another problem instead. “Thinking out loud” is very important during an interview so that the interviewer knows how you approach a problem and he/she will guide you from there. 1st question is actually a very easy question. What I first did was I tried to express all the terms in the equation as powers of 2, and then I could not proceed anymore. At first, I was explaining while writing the solution in front of my interviewer then I paused and stared at the question (probably not the best way to show that you can’t proceed). Dr. Martin then gave me a hint: try expressing in terms of 2^x. Then it dawned upon me what this question is all about. I managed to express the equation as a cubic equation in terms of 2^x and found the factors of the equation by considering trivial cases (substitution). Last but not least, the interviewer asked me to justify why 2^x cannot be -2 even though -2 is also one of the factors of the cubic equation. This can be easily explained by using the graph below. 2nd question was a Number Theory problem. Given a group of 6 consecutive positive integers, does there exist positive integers A and B, where A is a product of 3 positive integers in the group and B is the product of the other 3 positive integers, and A=B? If you have learnt the basics of Maths Olympiad before, this question may seem easy. I figured out it would be better to use proof by contradiction. First I used Pigeonhole Principle by stating that in any group of 6 consecutive positive integers, there must be exactly 2 integers that are multiples of 3. 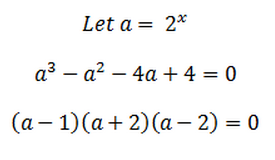 Hence assuming that there exist such A and B, if one multiple of 3 is the factor of A then the other one MUST be the factor of B. Similar reasoning for multiples of other prime numbers (such as 5) will lead to a contradiction. However, this question almost got me into trouble with the interviewer because I was solving it too fast – he thought I’d seen this question before. So I explained to him that I’ve done quite a number of Maths Olympiad problems before, especially number theory questions; I even asked him whether he would like to give another problem to me, but he said it was okay. Of course, during the interview the options below were not available, but this is apparently a past MAT question. 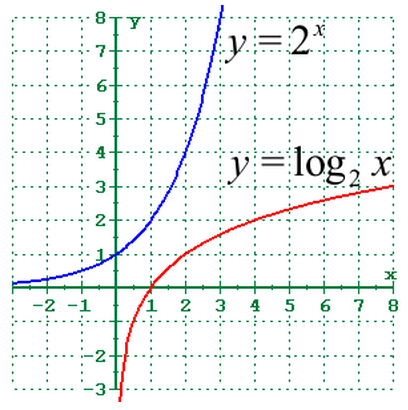 I did not have much time left, so what I managed to do was I stated that the graph y = x and y = π – x are possible solutions. I totally forgot about the periodicity of sine graph during the interview; if not this question can be solved within a few minutes. In the end, time was up and the interviewer asked me to solve this question at home. By the way, the answer is C.
Lastly, the interviewer told me that the average applicant solves one problem during the interview. He also gave me advice on how to prepare for the Mathematics written test (compulsory for students opting to be interviewed in Malaysia). They want to see whether you are teachable – respond well to their hints! I’m no maths genius or expert, and my advice might not suit everyone. Follow at your own risk! 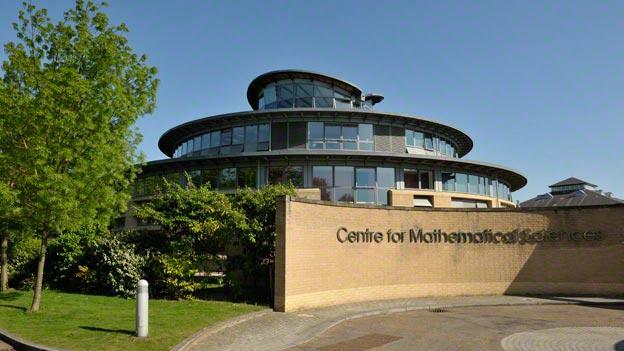 Unlike other subjects, if you want to read Mathematics at a top university in the UK, then sitting for an admission test is almost unavoidable. This is because getting A* in Mathematics and Further Mathematics is too mainstream. Just kidding. The true reason is that universities think that getting A* in Mathematics and Further Mathematics is not a good indicator whether a student has the ability to thrive in an undergraduate mathematics course. There are two main admission tests: Mathematics Aptitude Test (MAT) and Sixth Term Examination Paper (STEP). The MAT is set with the aim of being approachable by all students, including those that do not take Further Mathematics A Level (or equivalent). You will usually take MAT during early November, and it acts as a preliminary round for Oxford to shortlist interview candidates and for Imperial to give out offers. I find that MAT questions are rather unpredictable and they are less straightforward but as soon as you are able to pick up what the question really wants, the rest should be fine. Having a Maths Olympiad background is a massive advantage for this exam as some of the questions (especially the “weird” ones) will seem familiar to those who are experienced in solving Maths Olympiad problems. The weird questions would require more insight rather than algebraic skills; it may take you a bit of time to “play” around with the question before you notice some sort of trend/pattern hidden in the question. Finish the past year papers. Time yourself while doing every single paper to get used to solving problems under exam conditions. Trust me, it will be very likely that you will underperform during the exam (not trying to jinx it) due to stress, nerves, distracting invigilators etc. Hence, you should aim to perform way better than the average score among successful applicants during your mocks, so that you can make room for certain mistakes during the actual exam. STEP is used by the University of Cambridge as the basis of conditional offers. Other universities such as University of Warwick, University College London will also ask candidates to take STEP as part of their offer. Detailed information is available here. Students who do not have a conditional offer that requires STEP are encouraged to take STEP too as it will prepare them well for their undergraduate degree. Note: Imperial College London may ask a candidate who is unable to take MAT or a candidate who took MAT but achieved a borderline score to take STEP. You will usually take STEP during end of June, after your A2 exams. Note that you will only be required to take it if your offer states that you must achieve certain grades in certain papers, let’s say 1,1 in STEP II, III. As compared to MAT, STEP requires A LOT MORE effort and preparation rather than just raw talent (unless you are some sort of genius). Since STEP has 13 questions (8 pure, 3 mechanics, and 2 probability and statistics) and marks for only the 6 questions with the highest marks will be counted towards the final mark, it would be advisable to devise a strategy which will work best for you (since 6 months is really not enough as you have to juggle your A2 exams as well). Some people I know focused entirely on pure questions, but if you think you are strong in Mechanics or Statistics, do not overlook them, as there might be some easier questions among them. However some knowledge required might not be taught in your A-level/IB syllabus; hence you have to self-learn them. I started attempting STEP II papers at the beginning of semester 2 of A-levels, just to get a taste of it. It helped because if you are opting to be interviewed in Malaysia in October, you will have to take a 2-hour written test in addition to your interview. The test consists of 10 compulsory short problems and 6 long problems from which you only have to choose 2. 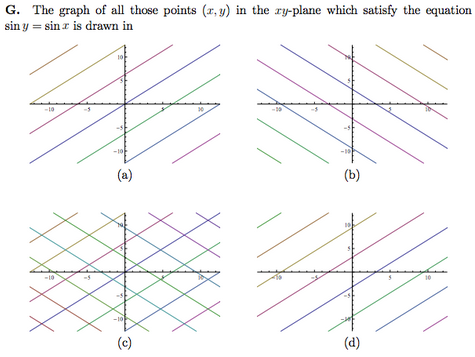 For the long problems, they tend to be really similar to STEP II problems; hence I was able to solve them. After I received my conditional offer from Cambridge, I started preparing seriously by working through past year papers. The Student Room is a good place to interact with like-minded students who are on the same boat as you and it also has an archive of the past year solutions for the earlier STEP papers. Most of the time I prepared for the exam independently. I only asked for help from my seniors once, and I also received some sample solutions from a lecturer in TCSJ. STEP may seem difficult at first and you may need hours just to solve one problem, but do not, let me emphasize – DO NOT – read the solutions before solving the problem. Reading them will not help you at all because you may miss out the opportunity to go through the thought process before reaching the solution. Don’t worry: the more problems you solve, the more you will get used to it (and hopefully it’ll get easier!). Ong Shin Yin is a JPA scholar who will be pursuing a Mathematics degree at University of Cambridge. A fan of Quora and rock music, Shin Yin is determined to eventually discover the right career for her. She hopes to be more than just a name or a face in the crowd. First of all I dun really agree on prime number method. U shudnt quote the term exactly but quote at least instead. For prime number like 5, it could have more than 1 multiples, eg: 5,6,7,8,9,10 so I don’t think your proof is complete enough and luckily you are not caught on this mistake. My post for question 2 in collegelah is obviously not the complete proof of the question, I am just giving the general idea to solve it. The word ‘exactly’ was ONLY for factors of 3, where there are EXACTLY two factors of 3 in any 6 consecutive numbers (I think you misunderstood that I’m using the word ‘exactly’ for any prime number). Yes, you are right that there is AT LEAST one factor of 5 in any 6 consecutive numbers (EXACTLY 2 for the special case 5,6,7,8,9,10), so by simply checking this special case you know that this special case doesn’t satisfy what we are looking for. For the record, I did mention this special case in my interview, I didn’t write it out COMPLETELY in my post above (but gave a hint in brackets to check for prime number 5, sorry if it was not an obvious enough hint) because I personally thought it was a nice question and I would really encourage people like you to think about it, and it’s great that you did that. On a side note, if you have watched the mock interview videos on the official Cambridge website, you will know that during a Cambridge interview, due to time constraint, the interviewer will be more interested in your thought process rather than your final answer.